It can be very beneficial to have an aquarium. Watching fish is extremely relaxing and enjoyable. In this hobby, you will always be learning. You will never know everything about the hobby. Not all fish are the same. The wonderful thing about fish is the large assortment of shapes, sizes and colours. The behaviour of fish also varies with different species. This is what makes fishkeeping a challenge, especially when it comes to breeding them. With more experience, you will be able to breed some species of fish, raise the fry, and/or try your hand at caring for the more delicate species. Owning an aquarium does not have to be expensive. 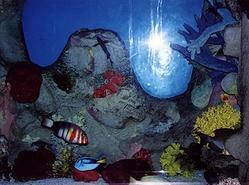 An attractive aquarium can be established on a budget and it does not cost much to maintain. Electricity consumption is low and even good quality fish food is economical when you compare it with feeding other pets, such as dogs and cats. As you become more experienced you may want to take advantage of up-to-date technology and improve your filtration, lighting, etc and purchase more expensive fish. The choice of how much you want to spend is up to you. 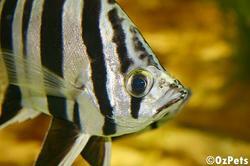 There is an enormous variety of fish available which are suitable for life in the aquarium. They come in a range of sizes and colours. Some have evolved through special breeding programmes to develop the man-made varieties, while others are as they are found in nature. It is worthwhile if you are just starting in the hobby to visit your local aquarium and pet shops, and view the fish on display. Unfortunately, many of the fish offered for sale are juveniles, and therefore by looking at them, you will not know how big they will grow. In the shops, many of the fish have not had time to settle down and therefore do not exhibit true colours. This will, however, give you an idea of what fish are available, and whether any particular species or group of fish takes your fancy. Another source of fish for the aquarium could be the local creeks and rivers. In Queensland, you are allowed to collect certain species of fish for your own use. You are not allowed to sell the fish you catch. "In-possession" limits apply and you are only permitted to use approved fishing apparatus. Information can be obtained from the relevant government body. People in the Central Queensland region may contact the Central Queensland Aquarium Society Inc for more information and assistance with fish identification. Many aquarists in Australia enjoy collecting and caring for the native fish. We have many beautiful species to be proud of. If you are lucky enough to have an aquarium fish competition held in your area, you will be able to view adult specimens in prime condition. Usually a large variety of species are on show and you will be able to obtain information about the fish from the stewards. If you like a particular species, you may be able to obtain the name of the owner to ask for more specific information. Another factor which will determine what fish you can keep, is the water you have available to use. If you are connected to a town water supply, you will need to add a chlorine / chloramine neutraliser to make the water safe for your fish. Another way to remove chlorine from water is to store your water in a container and aerate it vigorously overnight before using. If you live in a rural area, the only water available for you to use may be bore and / or rain water. In Australia, the bore water can be quite hard. Rain water is very soft and contains no minerals. Fish and plants require some dissolved minerals in the water to maintain health. To make rainwater suitable for fish, it is recommended to mix it with water which contains minerals, in predetermined proportions to obtain water with the correct hardness value. A number of brands of pH test kits and Hardness (General hardness and Carbonate hardness) test kits are available from Aquarium and Pet shops. These kits will allow you to test your water and determine what species of fish are best suited. Some fish prefer soft, slightly acidic water (eg tetras, barbs) and others prefer hard, slightly alkaline water (eg goldfish, Rift Lake cichlids, guppies, swordtails). Fish which inhabit brackish water also benefit from having a small amount of salt added to the water. Not all fish are compatible. Some species need to be housed singly due to their nature, while others may be kept in pairs or groups. If you keep a variety of different species harmoniously together, it is called a Community Aquarium. In many books, you may read that a fish species is suitable for a community aquarium. The requirements, behaviour and temperament of all fish for a community aquarium should be researched before buying the fish. Some species are peaceful and remain small when full grown. 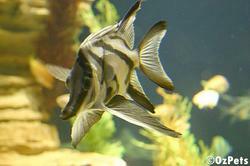 Others may grow large or may be nippy towards smaller or slow swimming fish. It would be a disaster to house these different groups together. If the fish is a shoaling species, please purchase at least eight (8) fish of the same species. This will allow the fish to behave in a natural way. 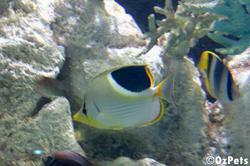 If you purchase only one or two fish of a shoaling species, you will cause these individuals unnecessary stress. Problems could also arise if you combine slow swimming fish with those that are fast. Some species are delicate feeders while others will consume large amounts of food in a very short space of time. In these situations, the slow swimming fish and the delicate feeders would be disadvantaged when it comes to feed time. These fish may also be intimidated and bullied by the faster swimming fish. Many books are available on fish keeping, and it is a worthwhile investment to purchase a number of books on this subject to increase your knowledge. Another source of information is your local aquarium society. Many of the members in these clubs are dedicated to the hobby, and have varying degrees of experience and knowledge. Many of the members are willing to help others to be successful with fishkeeping. The Central Queensland Aquarium Society Inc has a comprehensive library, and most of the books are available for the members to borrow.